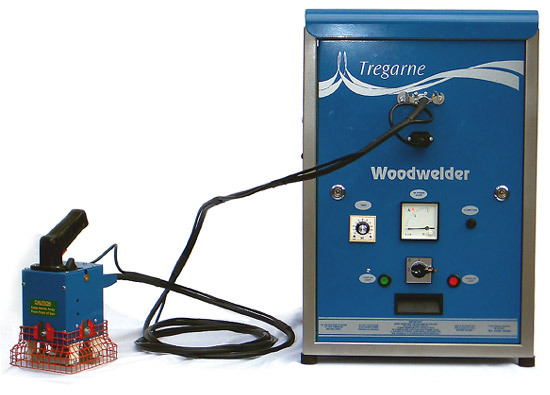 The Tregarne Woodwelder has been used in the woodworking industry for over 30 years. The R.F. generator produces radio waves, via a pair of triode valves. The R.F. is then modified to 27 megahertz and passed down the coaxial cable to the hand gun. 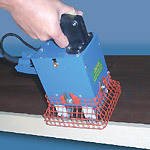 The electrodes on the hand gun are placed over the glue line and when the trigger on the hand gun is activated the radio waves pass into the glue line. The Radio waves vibrate the water molecules in the glue, this vibration causes heat and the heat sets off the glue, all within 5 seconds. Simplicity in itself! 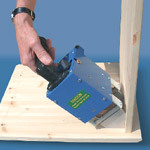 Adjustable power lever of hand gun. Timer for adjustable cure length with "elapsed" buzzer. Supply: 240 volt / 50hz (standard 13-amp 3-pin plug). Electrical Safety: Cabinet and fittings are fully earthed. 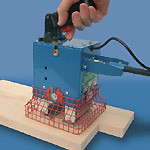 Cutout switch isolates main power if rear access panel is removed. 10 amp panel-mounted fuse for protection. Hand gun specification: Lightweight, easy to use hand gun. 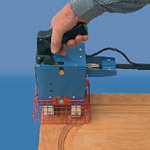 Incorporates on/off trigger, thumb-operated fine tuning control and R.F. power indicator meter. Supplied with 2 sets of electrodes. Servicing and maintainance: A comprehensive range of spares are available from Tregarne and can usually be delivered next day. 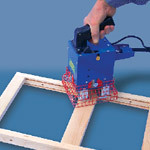 Repairs can be carried out within 1 - 2 days. Warranty: All new machines are covered by a standard 12-month warranty from the date of purchase. 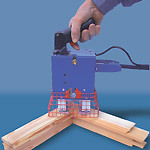 Download the Tregarne Woodwelder brochure in pdf format.